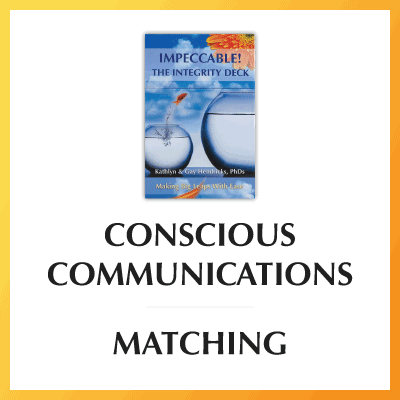 Purchasing our new deck of cards is one way to support the Foundation for Conscious Living, as all deck sales go toward funding the Foundation. We have a beautiful new deck of cards for sale created by Katie and Leadership and Transformation Program Graduate Kirsten Jones. 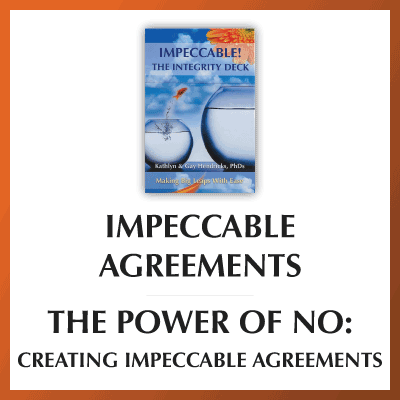 The deck is called Impeccable! 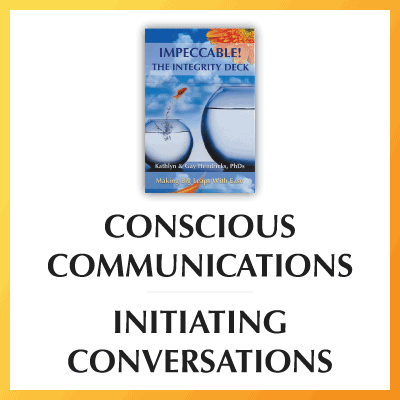 The Integrity Deck, and each card in it communicates an effective way to shift into embodied alignment with ourselves again when we drift off-course. 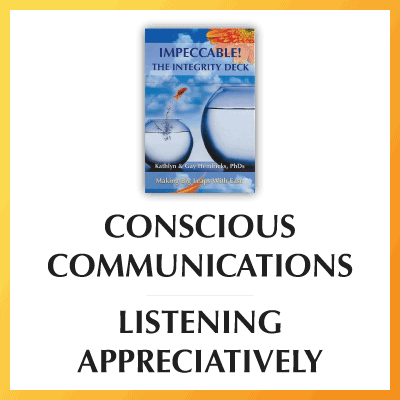 Use the deck by yourself, in partnership, or in community to assist in solving problems, opening to more creativity and manifestation, and contributing with more effectiveness. 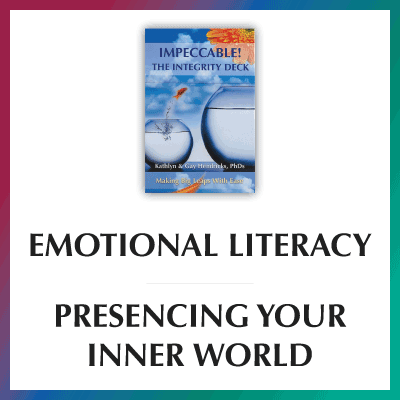 Easily discover and develop your own easy action steps as you practice and play with these wise, light-hearted and beautiful cards. 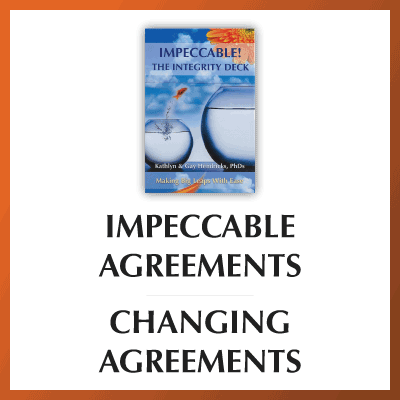 To learn more and to order click here. Video Introduction to the Integrity Deck! 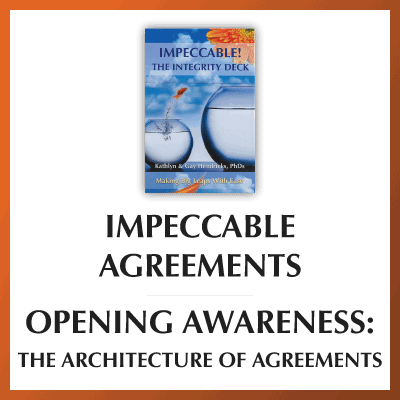 We’ve begun to create videos for exploring our new Integrity Deck to support your most expanded exploration of wholeness and alignment in all aspects of our lives. The most recent video shows you some ways to use the deck. Future videos will explore each of the pillars and cards with examples and body intelligence doorways to deeper embodiment. Explore more Integrity Deck videos. 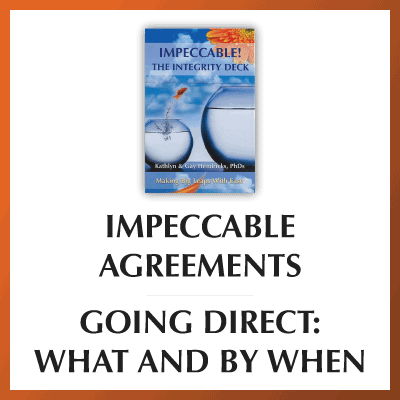 Explore More Videos for Impeccable: The Integrity Deck! 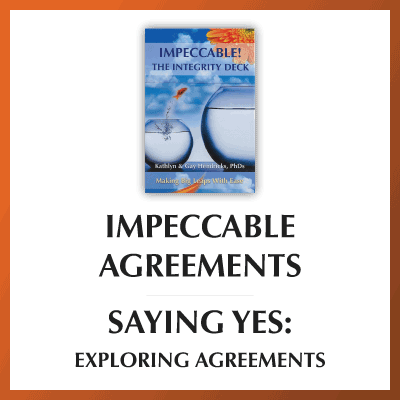 Integrity Deck Video 2: Impeccable Agreements—Saying Yes: Explore Agreements with the Integrity Deck!